If you’re a 90s kid like me and you long for the days when you could turn on the TV and watch Friends to make a mental copy of what Rachel was wearing, and try to imitate the look for Monday, then you’re going to love the comeback 90s minimalist fashion is making this year. I’m a style chameleon but I always apply a minimalist flair to any outfit I wear. I like clean and simple. I don’t love to over accessorise, so this trend is right up my alley. 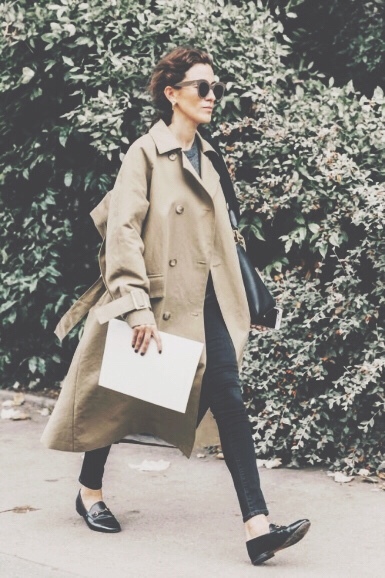 I love the way the French (yes, I’m obsessed with French women) do minimalist fashion. The picture below perfectly personifies simplicity and style. She’s wearing an all white outfit. Simple crew neck t-shirt and cropped, wide legged jeans. Her only accessories are black sling backs, a straw bag, and hoop earrings. That’s it. BUT she looks hella stylish. 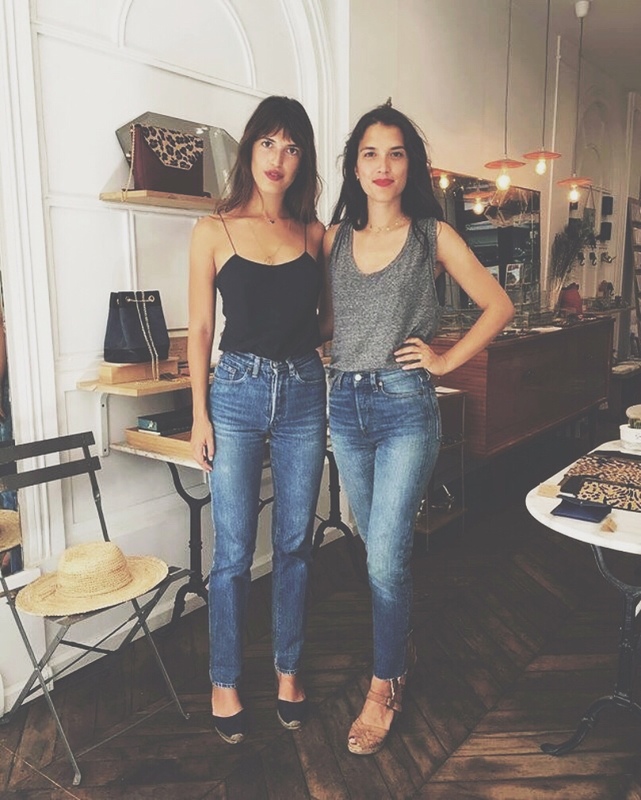 Another great example of a casual minimalist style Jeans, a camisole or t-shirt, and a pair of espadrilles. There’s your outfit. A minimalist style is also super easy to translate into workwear. Below is an example of wearing an updated trench coat with pants and loafers. I’m wearing a light crepe wool blazer from Aritzia, Citizen of Humanity cropped sculpt jeans, a wide belt, and to add a pop of colour to my outfit, a green Kate Spade ♠️ bag from Designer Swap. 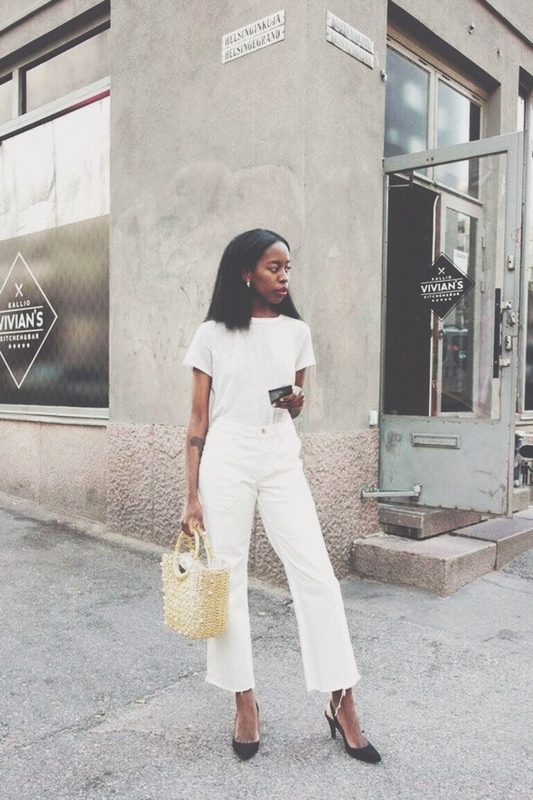 Minimalism in fashion is quite simple to achieve as long as you edit your outfit. Choose clean, simple lines, and only add one or two accessories. Keep your makeup simple as well. No unicorn highlighter with this style. Hopefully the French inspired you to try a minimalist look this spring. What are your favourite fashion trends of 2018? You know I love hearing from you. French style is just so effortlessly chic. Loved the belt and pop of green from the bag. I can’t do unicorn highlight anyway lol!